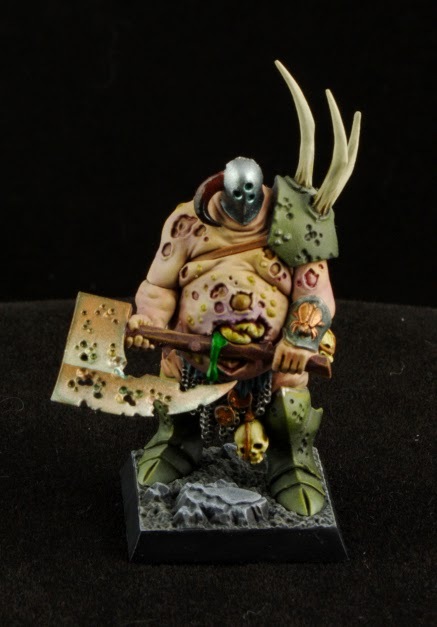 This is one of my all time favorite sculpts from Games Workshop. 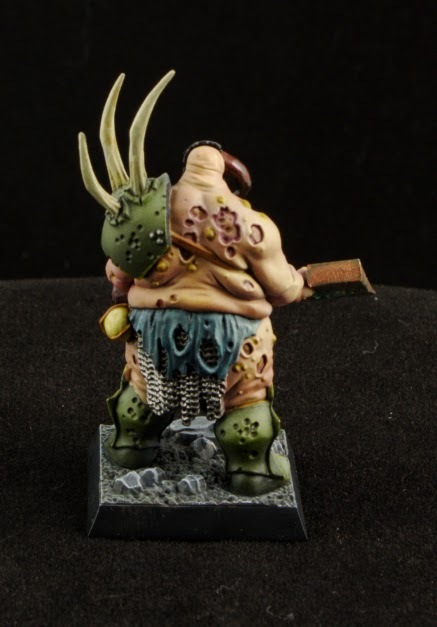 I bought this miniature almost two years ago, painted it soon after I brought it home, and it has sat on my shelf without a base since then. I decided to use the sculpted base that came with it because I don't have any square bases. The skin is a complex mix of at least eight colors; even though I wrote them all down in chronological order, I probably couldn't recreate it if I tried. Looking at the finished product, there are some things I could probably touch up but I will most likely leave it as is. I am thoroughly enjoying my commission break, getting the time to finish off these models I have in my backlog has been a real treat.